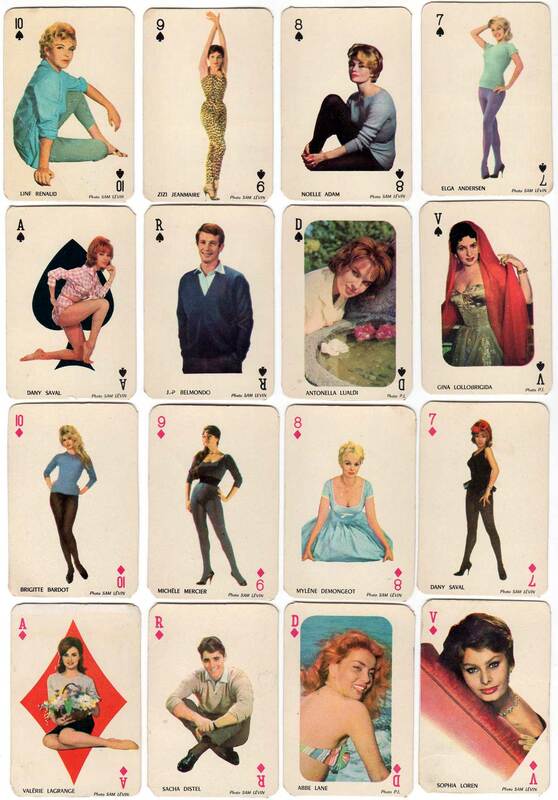 Playing cards featuring film stars and celebrities from the 1960s with sensual photography by Sam Lévin (1904-1992) and P.I. 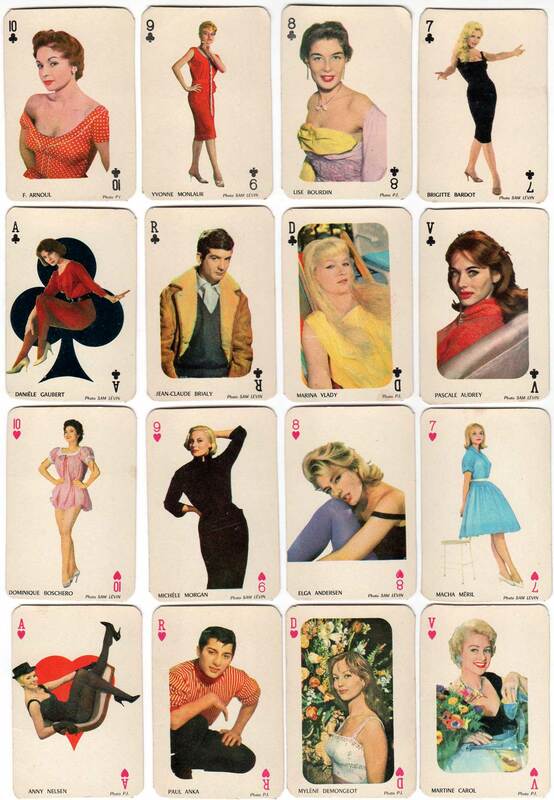 Above: vintage playing cards depicting Film Stars from the 1960s with photography by Sam Lévin (a very famous photographer who discovered Bardot), anonymous manufacturer. 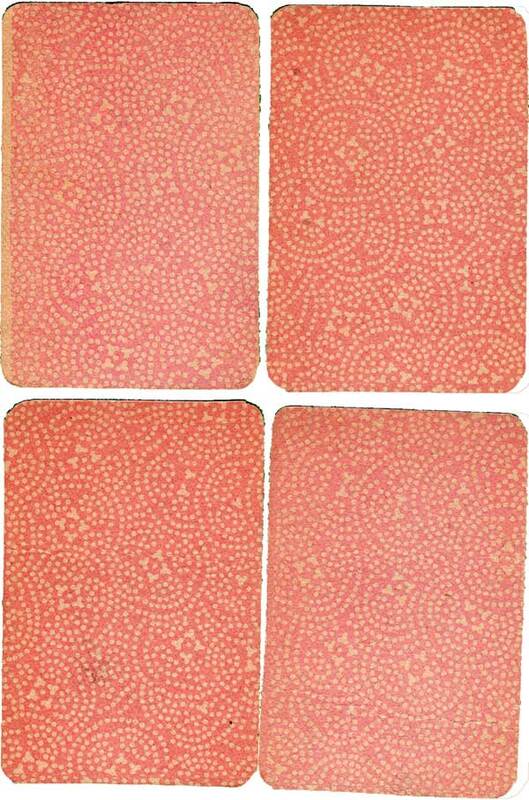 32 cards, size = 1 13/16" x 2 11/16" (7 x 4.5 cm) with patterned red backs. Images courtesy Amit Benyovits.